Dickinson Philips was approached by a medical customer with a request for a new, multi-component design for a medical device. Our teams worked closely with the customer's designer over several weeks, using our knowledge and experience to assist in finalising design, both aesthetically and technically. We were keen to ensure a high standard of final production, which would provide highly functional and long-lasting results. Our engineers proceeded to manufacture several sets of stereo lithography (SLA) prototypes to guarantee both the fit and function of the assembly. These would be tested and evaluated by the customer before a final product decision could be made. We were able to provide the customer with a full and detailed quotation for the production of components within four days of their initial enquiry. Dickinson Philips was pleased to be awarded the contract the following month.
" Dickinson Philips' service level is excellent - they are very flexible and do what they can to help us out. " To meet the requirements for our customer, seven multi-impression tooling orders were placed with our trusted overseas toolmaker. Full GA control and approval were then sought and achieved, with valued involvement from both the customer and their designer, to ensure absolute satisfaction before tooling work commenced. Throughout manufacturing of the tooling, we supplied both a project progress Gantt chart and detailed photographs on a weekly basis. Keen to ensure they could continually see our progress and get a picture of the process and advancement of their order, we kept our customer in the loop on its development. Dickinson Philips Sourced all materials for the project at the most competitive price through reliable suppliers and these were in place ready to go, prior to the tools arriving at our site. One of the components that made up the final product assembly required printing and although this was not part of the original package, our knowledgeable team recommended a trustworthy supplier to help the customer achieve this; very pleased with our choice, the customer went ahead with our recommendation. T1 samples were conducted at the tool maker and several sets of samples were supplied to the customer. The customer required several small design changes which were carried out by the toolmaker. Tools were then resampled and new samples supplied to the customer. Production orders were placed with us and the tools arrived on time. (pictured above) The customer is extremely happy with our service and quality. Dickinson Philips was approached by an enthusiast in Country Sports. He had an idea to solve a problem he had found in the sport. He had made some prototypes out of metal that he had tested in the field but did not know if a product made from plastic would be robust enough. A visit to Dickinson Philips was arranged for the following week. During the visit, we were able to show the customer the process of injection moulding and some of the advantages in design, materials and lead times that injection moulding could offer. We were able to sit with the customer and design a prototype using our CAD system, produce a prototype using our 3D printer, supply the customer with a couple of samples and place one sample on test for durability the same day! Over the next few weeks, the visit sparked several improved design ideas with the customer and we were able to supply further prototypes and 3D PDF's for consideration. 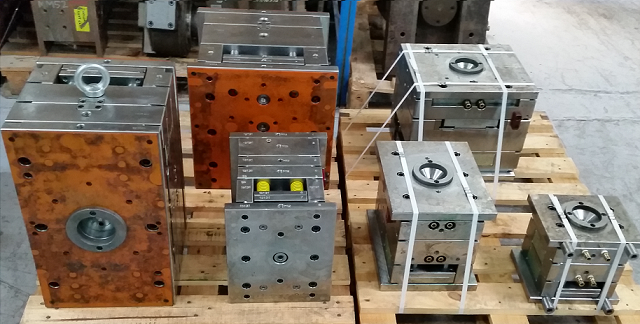 Once the final design was approved, we supplied the customer with a full quotation for tooling from both the UK and overseas, along with product costs for several tooling configurations. In full possession of prototypes, material testing and costing information, the customer was able to secure financial backing for the project. Tooling design and options are in the process of being finalised.
" Dickinson Philips made time for us and wanted to make sure they delivered what we wanted "